Are you old enough to remember the Wayback machine on the Rocky & Bullwinkle show? If so, picture Sherman and Mr. Peabody just for a moment, and walk through with Pokey to that moment of revelation, when she found The Labyrinth and realized that the only way out was to go further in. and because Pokey was still in residence at The Center, still studying her condition with unparalleled navel-gazing abilities, she had to write about the writing too, because the end of her residency approacheth, and that meant The Talk. The Talk was a public presentation of your work, proof you hadn’t frittered away free office space and parking privileges. So Pokey signed up to give a talk in the fall and the fall came and went and she rescheduled her talk to the last available slot in April. Gave herself some breathing room. After all, she’d only just discovered the Labyrinth, only just met the Guidesses, she was just getting started! Pokey is slow, and she needs her rest. But there’s nothing like a deadline and the prospect of public humiliation for motivation. Pokey began to write, and it was painful, because she hated everything she wrote. Worse—she didn’t recognize her writing, it felt like it was coming from another person’s body. Pokey wrote some terrible poems during this time. Terrible because they were written to please, written for some imagined judge, to sound like the poems of whoever was winning contests and getting published and having their picture taken by Marion Ettlinger. I won’t show those poems to you. If you’ve been following this story you know that Pokey would like you to think of her journey as a quest, because it makes her feel heroic, in a Lucy Lawless kind of way (remember Xena Warrior Princess?!?). take the trip again, but backwards. Think of it as acceptance. Or practice. Pokey found a kind of acceptance at The Center. 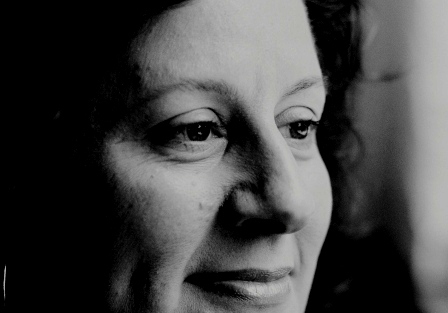 She had the support and encouragement of real, live women: the other “fellows.” She found the guidesses, mother poets who came before and slogged through the patriarchal swamp before her, not exactly paving the way but at least leaving a rough trail to follow. Most of all, a couple times a week she had the time to let her head be empty of what was next on the endless mother-worker to-do list. That’s the practice part. I wish that for all mothers. Anyway, Pokey eventually got around to finishing her talk, and it turned out kind of well, but we’ll talk more about that later. She also managed to eke out some poems that she didn’t know were decent. Some of them have since been published—people liked them! But she couldn’t see that at the time. She knew only that she had to keep writing, and hoped she’d get where she wanted to go and it would look familiar, like home, but better. Nicer furniture. Painted woodwork. Gas stove. You get it. Here’s one of the poems from that time: it’s in the Morning Song anthology and will be in my new book. It’s been a long haul, but I can finally appreciate it. Most of all, I love that it’s a document of where I was in that moment of parenting my daughter, and where she was in her daughtering of me. Now that she’s 13, we can read it together, which is pretty amazingly wonderful and great. the sink, fire even on the floor. I love that poem so much. That you knew about giving your daughter space and control even when she was young enough to play tea party in the tree house might be the reason that you are able to give her whatever space she needs now as a teenager. Inspires me. Humbles me. Gotta remember to let them make a mess… Thanks, Amy. what still amazes me about writing poetry is that i didn’t know that I knew until after i wrote the poem. I usually have only a faint idea–more like a pressure–when i begin, and when I’m done I discover what was behind the impulse. Usually the impulse is image or sound-based, not idea-based–so the idea is almost always a surprise. I love that! Thanks for the comment. Faith overcomes fear, doesn’t it? You keep proving it. Poke, I think you’re my modern day Rosie The Riveter. We Can Do It!! Another great post Pokey. I’m with you! I eagerly await the next installment – the quest, the slaying (or acceptance) of cellulite, the whole Pokey Mama Philosophy of life. A heartfelt and slow thank you! i am not worthy, but would be more than happy to provide guidessness when you can find the space to return to your OTHER art form. 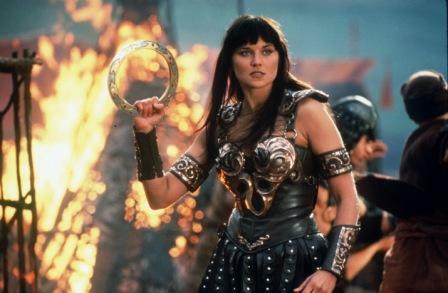 But I do think cellulite tops humanity for scariness..
wow–some nice metaphors flowing there Xena! Beautiful poem Ms. Pokey! I am still slogging my way to The Center. I am hopeful that when I get there I can stay for awhile. slogging is the preferred method of transport to The Center–you are doing exactly what you should be doing to get there and you are right on time. In fact, you may already have arrrived. Thanks for the shout out. i love the way back machine and the labyrinth..and xena..
but most of all i love all the wandering around, ending up with the stellar final poem..how much fire can one floor withstand? good question. not sure if I want to find out or not! And I am impressed that you have raised a daughter who can understand some (all?) of this poem. You are raising a young woman who will be in touch with her artistic, empathetic and intellectual self. She is a gift to you, but you are to her as well with this kind of writing. Thank you. It’s nice to feel that not everything I do as a Mother is an error in judgement. Love it — can’t wait for your book!